The ‘metal tin’ is floating by the pier, behind Fisherman’s Pier and very close to where joy-flights take-off. If you look out for the aeroplane take-off, you won’t miss the mussel boat. 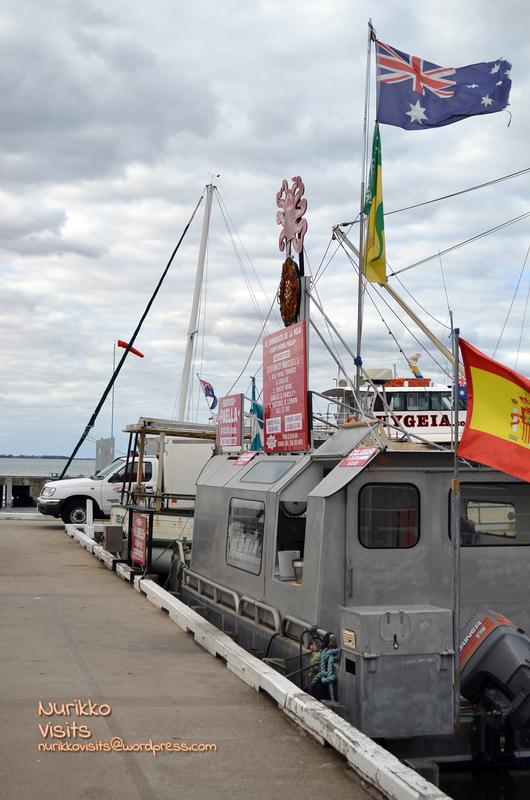 It has red and white signs which contrast well off the boat’s silver metal body; catching attention from local passerby and visitors from other cities. 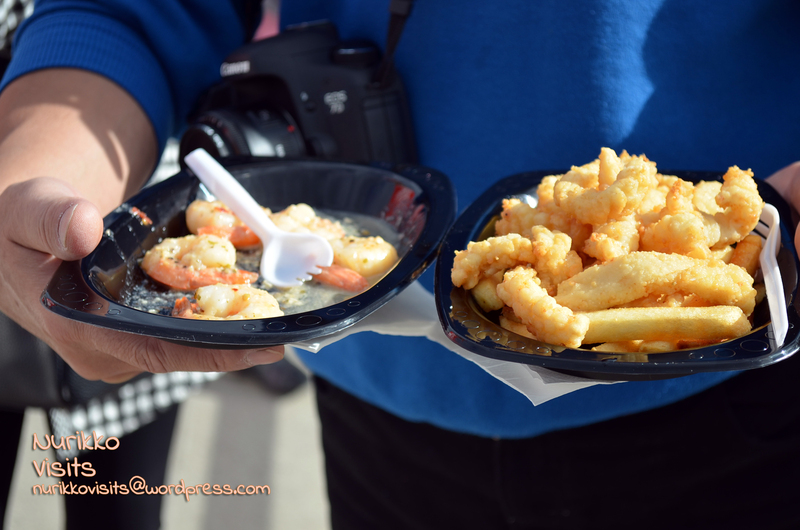 Mainly deep-fired seafood, you guessed it right. I liked the calamari very much because it is not typical fish & chips calamari rings where it is very chewy; The Mussel Boat calamari was fresh and tender. Chips were good. I liked the prawns least because I wasn’t in favour of the marinate. 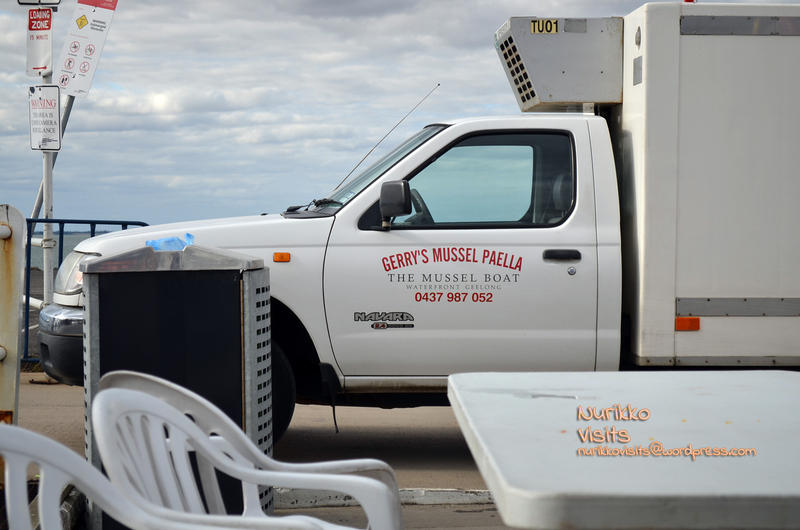 I recommend the Mussel Boat for a quick greasy snack. Get some fresh mussels from them and cook up seafood marinara is not a bad idea either. 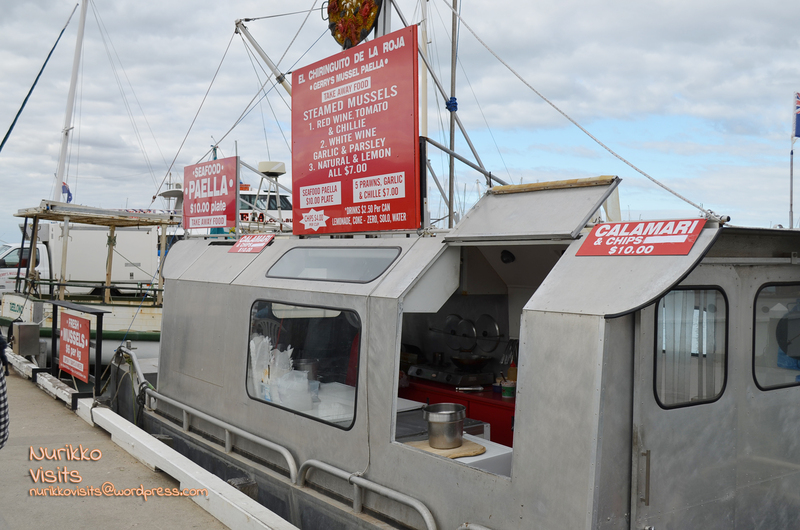 I found Geelong (Good) Food Hunter’s blog post on the Mussel Boat while doing some research on my own, it was a review from 2010 but the products are still the same so if you are still curious then check it out! 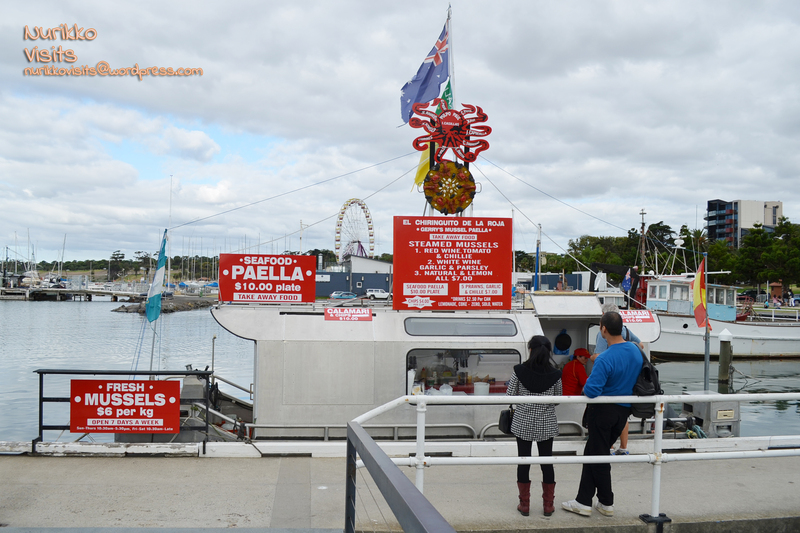 Categories: $ Cheap eats (below 15), Deep Fried, Geelong, Outdoors, Recommended, Seafood, Spanish, Take Away, Waterfront | Permalink.